I have had LOTS of fun playing with my niece's die cutting machine, and cut out lots of beautiful shapes and panels before I, sadly, had to hand it back! Here is a selection of the first 25 cards I have made, and there will be many more on the way! 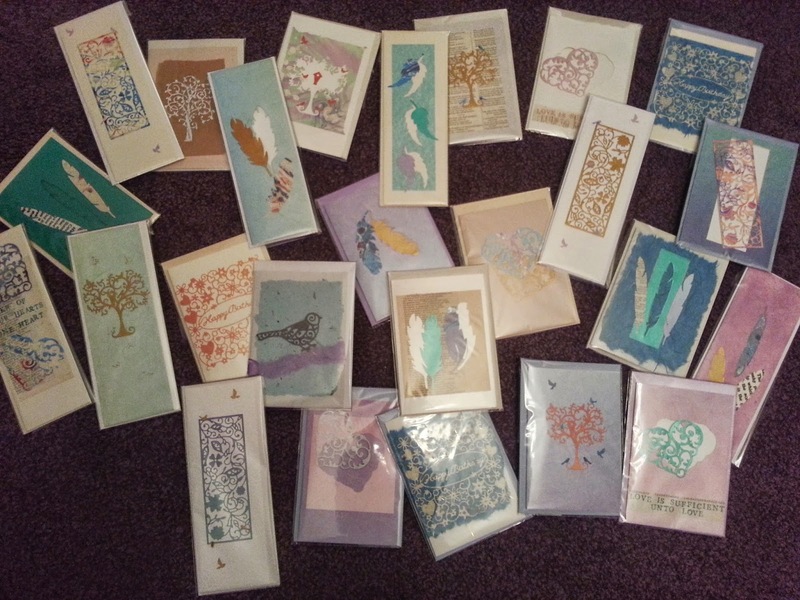 I have envelopes full of the shapes just waiting to be applied to cards, and some will be turned into books as well. 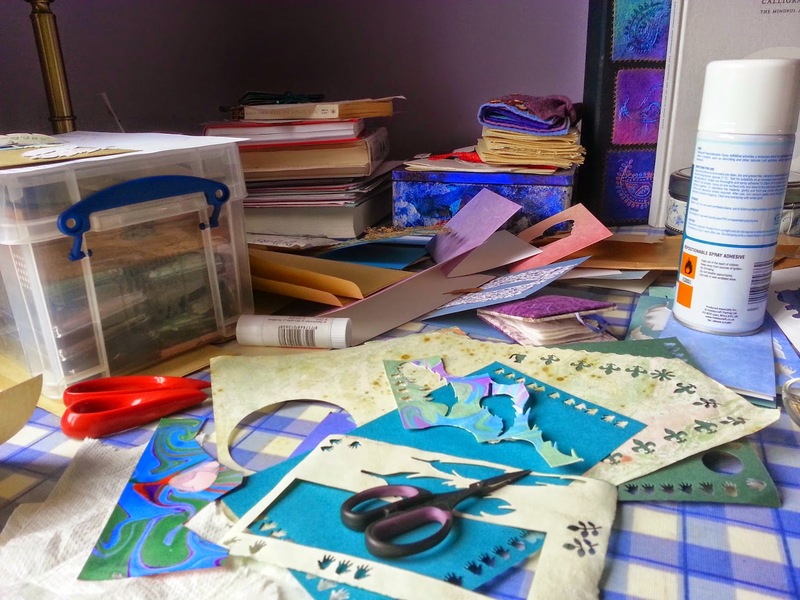 And at some point I might get to claim the table back for things other than card-making!